Phew, I cleared the dinner table, listed one more tray of stamps, and now I'm knocking off for bit. I'll let the current round of auctions close, and get all the posting underway, then start the next round. Did you see this one though? Oh my god, pears! 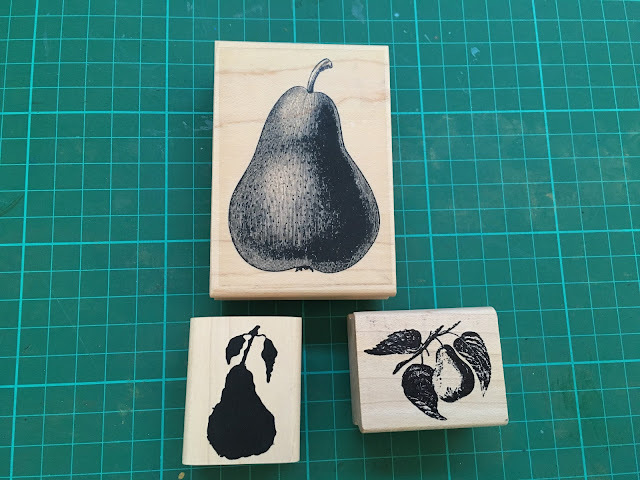 Pears were such a huge stamp theme, we thought they'd never go out of fashion. And these ones are super good. And jump across to the other items from the same seller (me) to see the rest of the treasure.